Born at Edinburgh, Scotland in 1884, he attended school at Fifeshire until the age of 12 then worked in the grocery business. In 1906, he answered an appeal for missionaries to emigrate to Canada, serving at Big Fork and Stratton in the Rainy River district for 18 months before returning to school in preparation for a teaching career. While teaching part-time at Spring Valley School, he attended Manitoba College, receiving a BA degree in 1914. After taking teacher training at Saskatoon, he taught at several places in rural Saskatchewan, including Last Mountain Lake, Island Lake, Ollenberger, Cyczinski, Lemberg, Kaminatha, and Davidson before returning to Manitoba to a position at the Virden High School. He moved to Winnipeg in 1919 as a teacher at Earl Grey School where Principal J. S. Little was organizing Canada’s first Junior High School. Later, he taught at Kelvin High School (1921-1922) and General Wolfe School (?-?) before going to Daniel McIntyre Collegiate in 1922. He remained there until 1938 when he was appointed Principal of Principal Sparling School, serving until retirement in 1950. A year later, he returned to teaching, working successively at St. James Collegiate (?-? ), Glenlawn Collegiate (?-? ), Miles Macdonell Collegiate (?-? ), Pembina Crest School (1956-1958), and Brandon College (?-?). 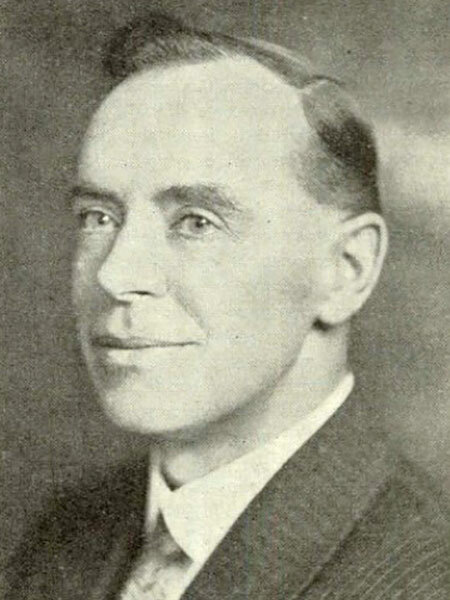 He was President of the Manitoba Teachers’ Federation (1931-1932). On 29 December 1915, he married Annie Mary Rutherford (1884-1960) of the Tarbolton district. They had four children: Agnes Louisa Florence, Jean Florence (wife of R. D. Glenn), May Florence (wife of D. L. Stewart), and John D. Florence. He was a member of the Masons (Fidelity Lodge). He died at Winnipeg on 26 March 1977 and was buried in the Chapel Lawn Memorial Gardens. Obituary [Annie Mary Florence], Winnipeg Free Press, 24 October 1960, page 4. “Canada’s first Junior High opened here 50 years ago,” Winnipeg Free Press, 1 September 1969, page 3. Obituary, Winnipeg Free Press, 29 March 1977, page 32. We thank Mireille Theriault (Manitoba Teachers’ Society) for providing additional information used here.